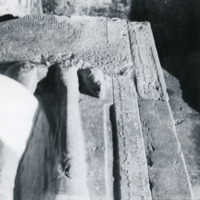 Photograph by Roger Stalley. 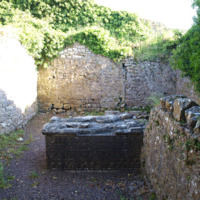 General views of the MacGiollapadraig chapel from the north. 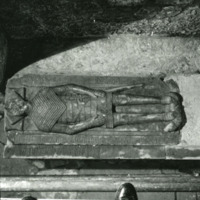 Photograph by Roger Stalley. 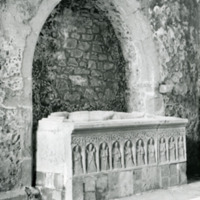 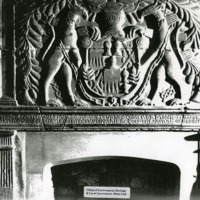 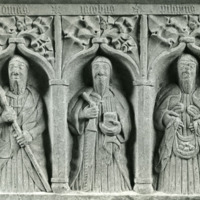 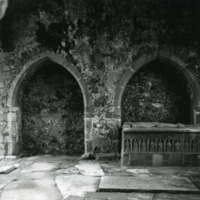 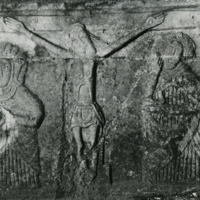 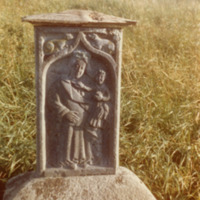 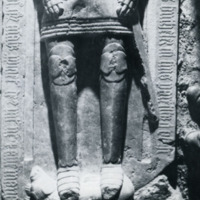 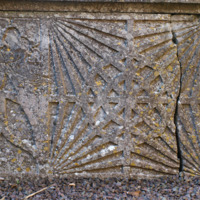 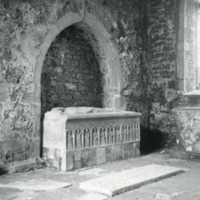 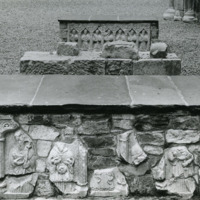 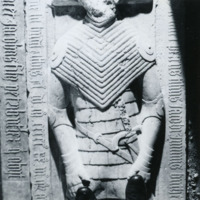 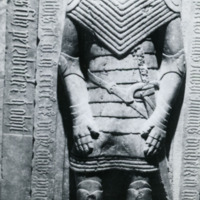 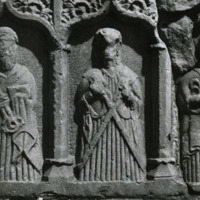 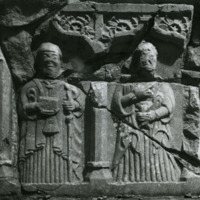 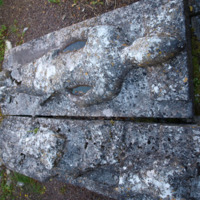 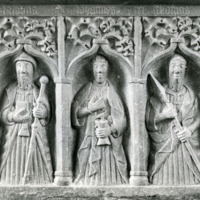 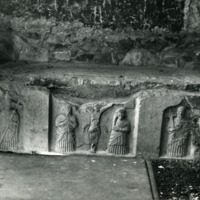 View of the top slab of the MacGiollapadraig double tomb housed in the mortuary chapel at Fertagh.